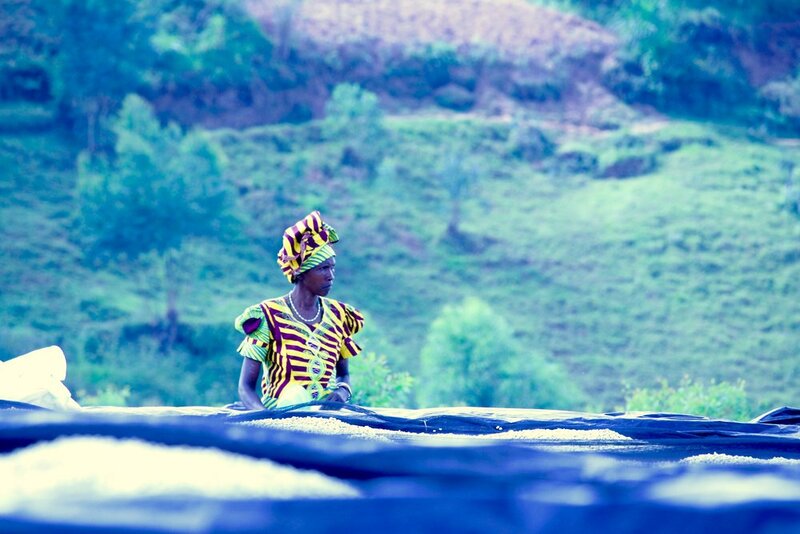 Last year, we launched a CrowdRise campaign to benefit the Nyampinga coffee cooperative in Rwanda’s Southern Province. 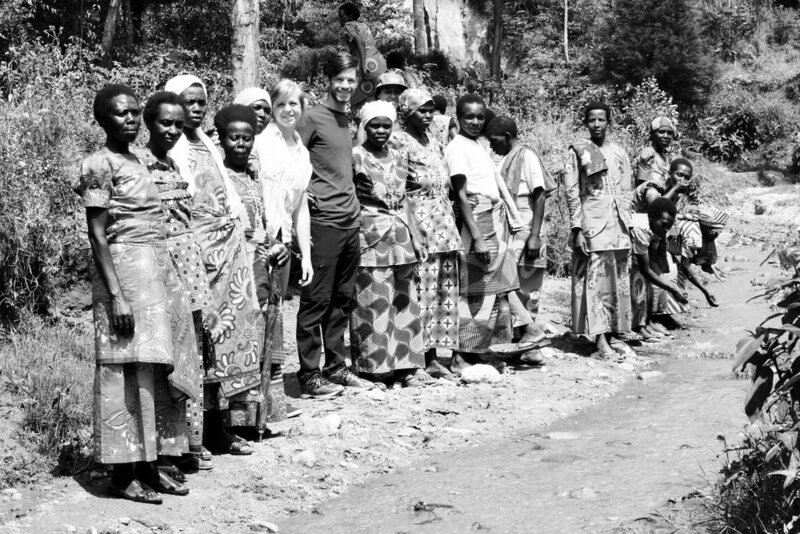 The cooperative’s members were walking nearly half a mile uphill to transport buckets of water from a creek to a cistern at the washing station where they process their harvested coffee. The goal of our fundraising campaign was to purchase a water pump for Nyampinga that would transport that water directly from the creek to the cistern. To raise awareness for our campaign, our Director of Operations Jesse Durham and a team from Sisters Coffee ran in the International Peace Marathon in Kigali, Rwanda, in May 2016. We’re happy to report that these efforts raised more than $3,700, and with the help of these funds, work is currently underway installing the new water pump at Nyampinga’s washing station! We want to say a heartfelt thank you to all our customers who supported our fundraising campaign, and we want to share more of the inspiring story of Nyampinga. 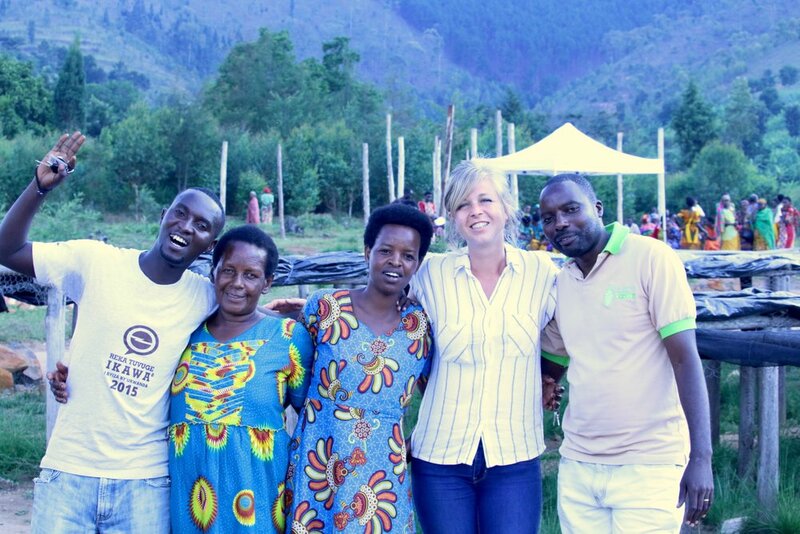 We first connected with Nyampinga in 2014, when Jesse was invited by Sustainable Harvest Coffee Importers to lead roasting workshops at the Let’s Talk Coffee Rwanda event bringing together Rwandan women farmers with the international coffee community. Jesse connected with Nyampinga there, and soon after we bought 1,320 pounds of the cooperative’s coffee. The relationship continues to this day, and we recently bought another 13,000 pounds of the coffee we can’t wait to share with you! 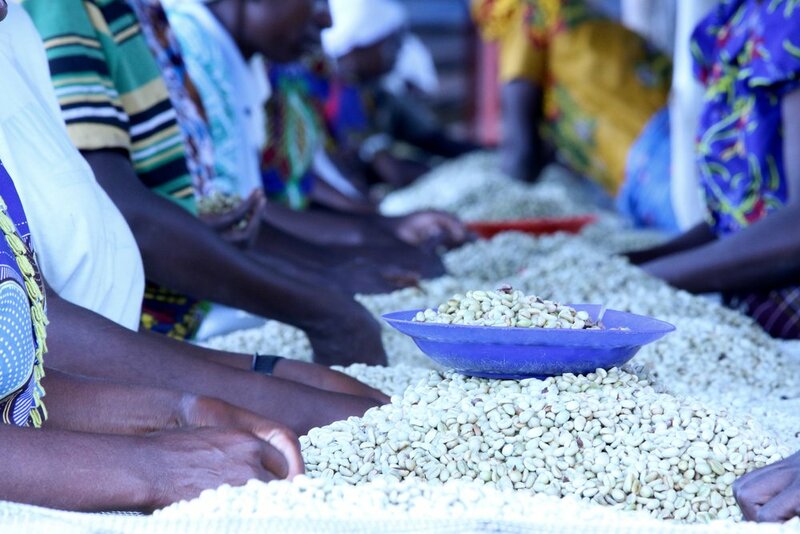 The women in Nyampinga receive training in agronomy, market access, and quality control from the Relationship Coffee Institute, a nonprofit formed through a partnership between Bloomberg Philanthropies and Sustainable Harvest Coffee Importers. Through this training the women have been able to dramatically increase their income: In the 2016 harvest, Nyampinga increased its net profits 112 percent compared to the 2015 harvest. These substantial increases show the strides these women are making as businesspeople, and we’re proud to support their efforts by purchasing their coffee and contributing to their water project. We are currently using Nyampinga in our espresso blend, adding a layer of sweet stone fruit which balances intense flavors of caramel and chocolate. This unique coffee is a crowd pleaser in every way and comes from a farmer relationship that is dear to our hearts. Thank you again for your efforts and support of this farm. We currently have fresh crop Nyampinga available in our cafes and online, we hope you enjoy it! Jesse with the president of the cooperative (second from left) and the quality control team.